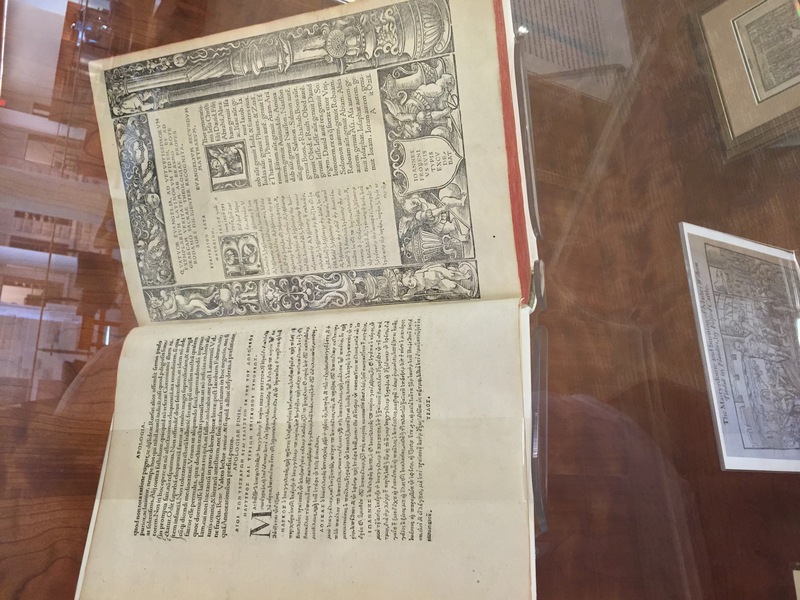 March 1st, 2016 marked the 500th anniversary of the first publication of a printed Greek New Testament edited by Desiderius Erasmus (born 1466), the work published in Basle, Switzerland. Erasmus is widely cited as one of the greatest scholars of his time. For an ad hoc photo of a copy of this edition click here. Erasmus prepared his edition mainly from two rather late Greek manuscripts (14th-15th century), one of the Gospels and another of the Acts and Epistles, which are preserved in the University library in Basle. For the book of Revelation, Erasmus had to hand only one manuscript, which was missing its final leaf containing the last six verses. So, he retro-translated these verses from the Latin Vulgate! Thereafter, Erasmus prepared five successive editions of the work, each with improvements, and each a Greek-Latin edition (1519, 1522, 1527, 1535). The 1519 edition served as the basis for Martin Luther’s translation of the New Testament into German. It was also a pioneering step in the development of New Testament textual criticism, although the apparatus to Erasmus’ successive editions never made reference to more than eight manuscripts, all of them actually comparatively late in the light of the manuscripts used today. But pioneering efforts are typically afflicted with mistakes or things that can be improved on, so in this 500th anniversary year, let’s simply celebrate this pioneering work by one of history’s great scholars. All users of the Greek New Testament today (and all who use translations based on modern critical editions of the Greek New Testament as well) are, in some way, in his debt. 1502 seems to be the date fixed to the beginning of work on the polyglot. The only thing that I can tell is that people assign this date to the beginning of the project simply because that is the year that a print press was installed on the campus of the college (not the same press used for the polyglot). A better argument is to connect the beginning of the project with the invitation of Greek and Hebrew scholars to Alcalá de Henares, the same ones who worked on the polyglot. If you do that, the earliest date is 1507 or 1508. And with Greek, the invitations are even later. I’m unconvinced that they were working on this project for years and years. Over a decade is highly unlikely in my opinion. If I had to guess, they worked with few manuscripts, though certainly more than Erasmus. And they worked quickly, focusing more on (1) getting the polyglot in print and (2) making sure (in the case of the NT) that no one toyed with the Latin—even though one of the editors adamantly wanted to change it based on the Greek manuscripts. I would welcome a word of explanation for the situation described by the Wikipedia quote below. What delayed the publication of the Complutensian edition? The Complutensian NT is part of the Polyglot Bible of Computum, comprising 6 vols in all (the NT was vol 5), it was the greatest work of its kind after the Hexapla of Origen (3rd century CE). It was begun in 1502 and the NT was completed in 1514. But Pope Leo did not approve publication till March 1520, and even then there was some delay, so that the work did not really get into wide circulation before 1522. Only 600 copies were printed. But there were then reprintings in the 16th and 17th centuries, and even into the 19th century.